The WoodSongs Front Porch Association (WFPA) Gathering is set for Sept 25 & 26 at the historic Museum of Appalachia, located on I-75 at the Kentucky/Tennessee line, just 8 miles from the famous Rocky Top. The Gathering will be held on eleven beautiful acres at the cabin village of over 40 log structures and porches. Showcases, workshops, lectures, films, children's stages, great food and a lot of music are planned. 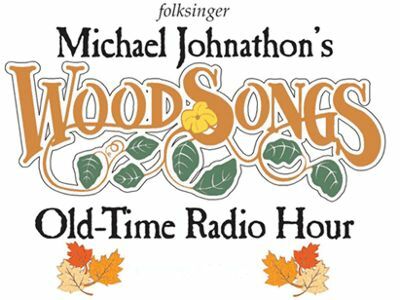 Joining folksinger Michael Johnathon for this today's broadcast taping which includes Della Mae and Pearl and the Bear. Della Mae is five women from Boston that are are turning heads, winning hearts, and quickly becoming a household name in acoustic, folk, roots, and bluegrass music. 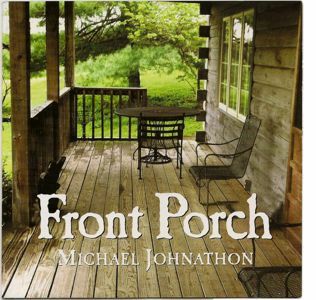 Songwriter Michael Johnathon marks his tenth studio album with the release of Front Porch that musically looks at the real, emotional and global "front porch" at a time when America and the world has lost its sense of roots, community and neighborhoods.